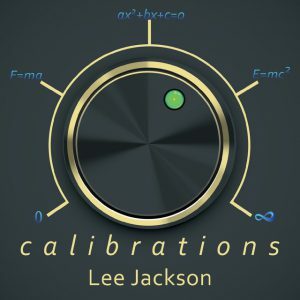 Retro Garden has teamed with esteemed video game composer Lee Jackson to give away a copy of his brand new album – Calibrations! Lee Jackson was born in the early 60s in Austin, Texas. He wanted to take Spanish in Junior High School, but his parents forced him to take Band instead, unwittingly unleashing a holy terror upon the musical world. He was the Music and Sound Director for the video game developer 3D Realms from 1994 through 2002. He is most well known for his work on Duke Nukem 3D and Rise of the Triad, specifically for creating Duke Nukem 3D’s main theme titled “Grabbag”. He recently released “Calibrations”, which is the soundtrack from Episode Five of Gearbox Software’s Duke Nukem 3D, also known as the 20th Anniversary World Tour episode (“Alien World Order”). “Calibrations,” Jackson’s debut solo album, includes all eight songs used in the game, along with one song that was released with the game but not used. In addition, it includes three brand new songs and an interview with Lee Jackson. “Calibrations” is available in CD, MP3, and streaming form, and can be found on Amazon, Apple Music, iTunes, Spotify, Pandora, and other services. Links are available on https://leejackson.hearnow.com. So I’ve been listening to the album on Spotify today whilst carrying on my work. I wouldn’t call myself a music journalist but it’s incredibly listenable! It has that definite Duke Nukem vibe with the heavy riffs that were a signature of Grabbag, along with musical elements that you can just imagine the level style (“Desert Maze”, “Dukelinka”). This is a well worth get if you’re a fan of Duke Nukem. Win a Autograph CD Copy of Calibrations! The more tweets you have, the more entries you have! Competition closes on 14th November 2018, and the winner will be notified soon after that. Good luck!